“President Bill Clinton and his allies in Congress confirmed the obvious on Tuesday: There will be wholesale revisions in his five-year budget plan, including major changes in a proposed energy tax. “Negotiations are continuing with dissident Democrats in the Senate over the details as the president fights to collect enough votes from his own party to pass his plan. “Despite the impending changes, which will include more spending cuts and fewer taxes, none of the Senate’s 43 Republicans is expected to vote for the plan, their leaders said. 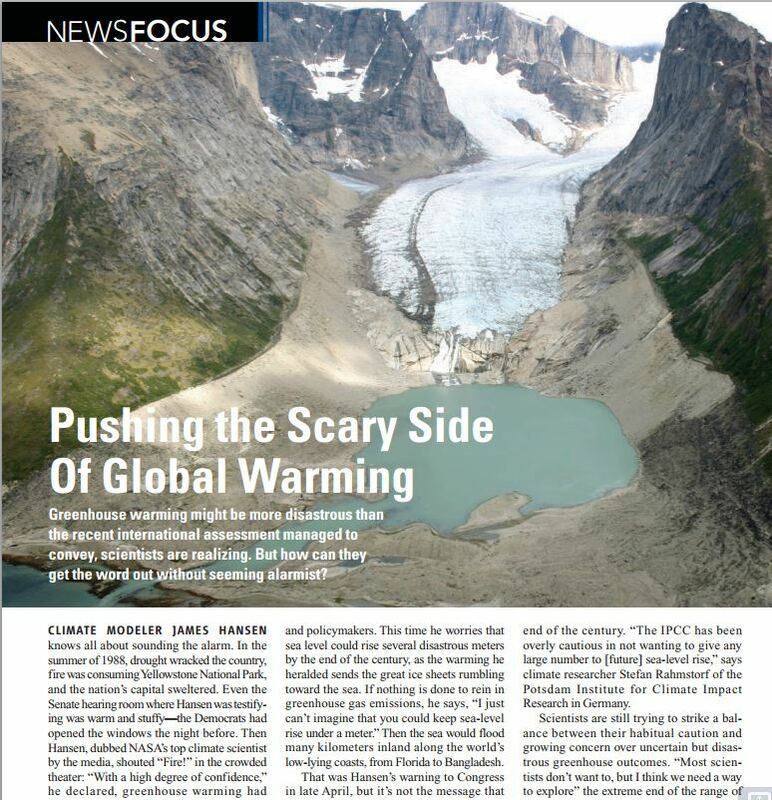 2007 A journalist who wrote about Hansen in 1989 revisits the man’s positions on climate.